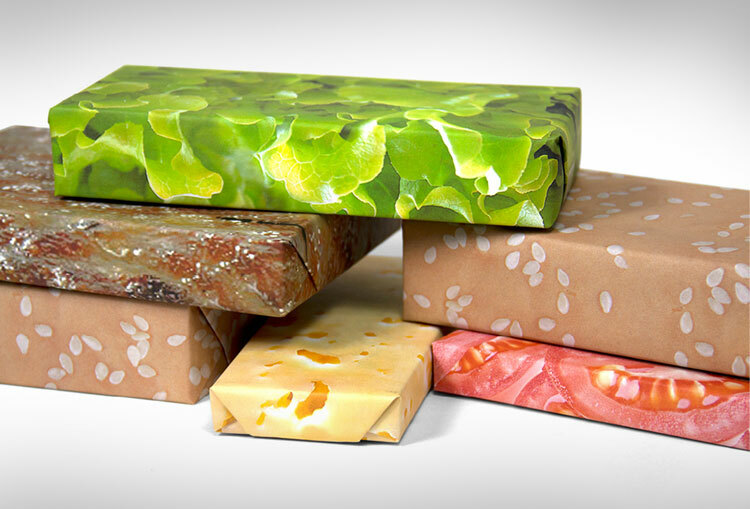 From the makers of the Steak Wrapping Paper, the Cheeseburger Wrapping Paper set consists of 5 different patterns of gift wrapping paper that when stacked on top of one another resembles a greasy cheeseburger that is sure to clog your arteries with amazing gifts. 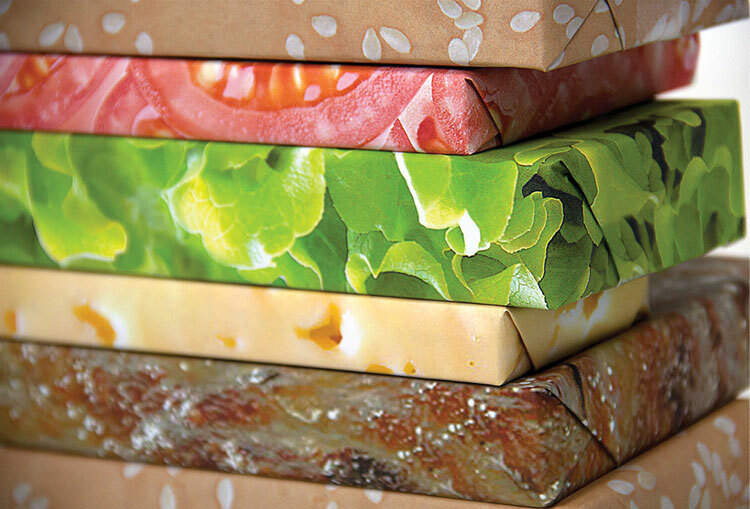 The cheeseburger wrapping paper patterns include a bun, tomato, lettuce, cheese, and meat. Then once you wrap your gifts and put them in a specific order, it becomes a perfect gift basket for your chubby friend who loves cheeseburgers. 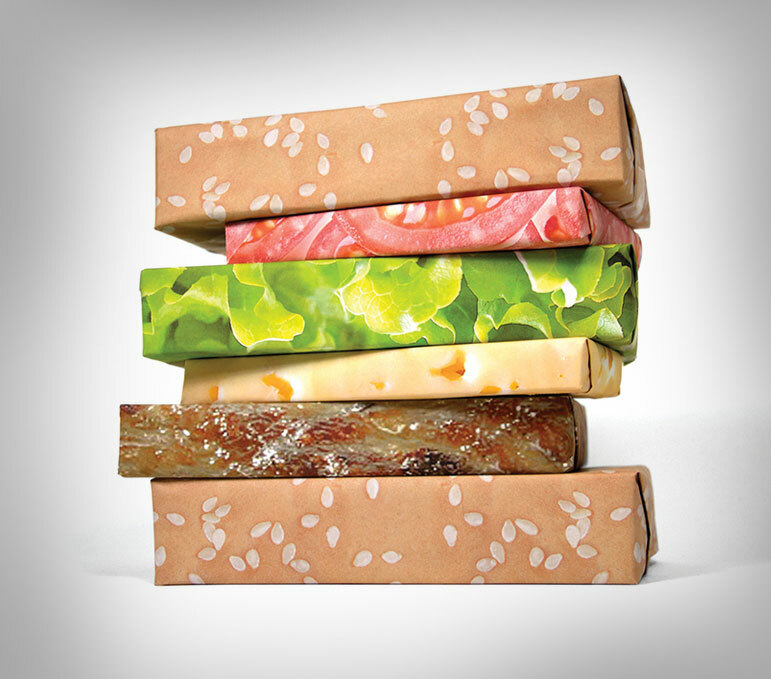 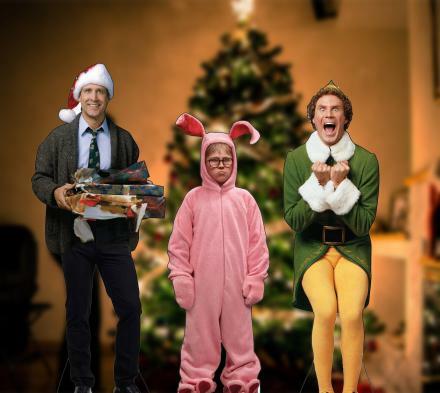 The Cheesebuger wrapping paper set includes 5 sets of wrapping paper that is made in the USA from recycled paper, and each stick of paper measure 25 inches x 21 inches in size. 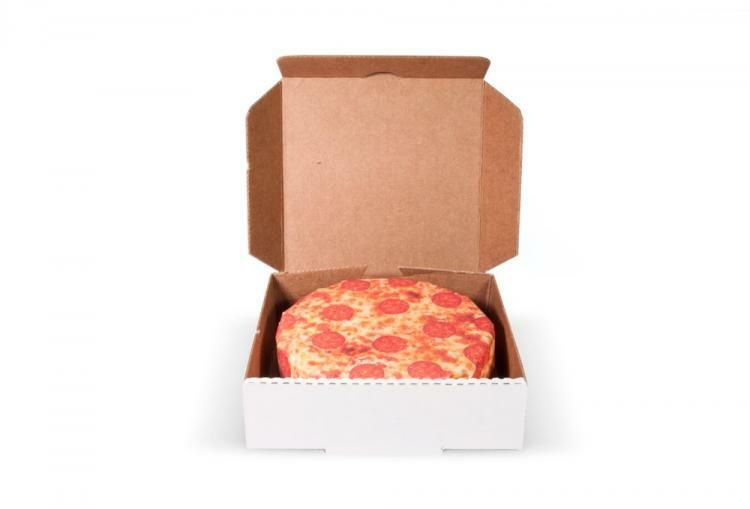 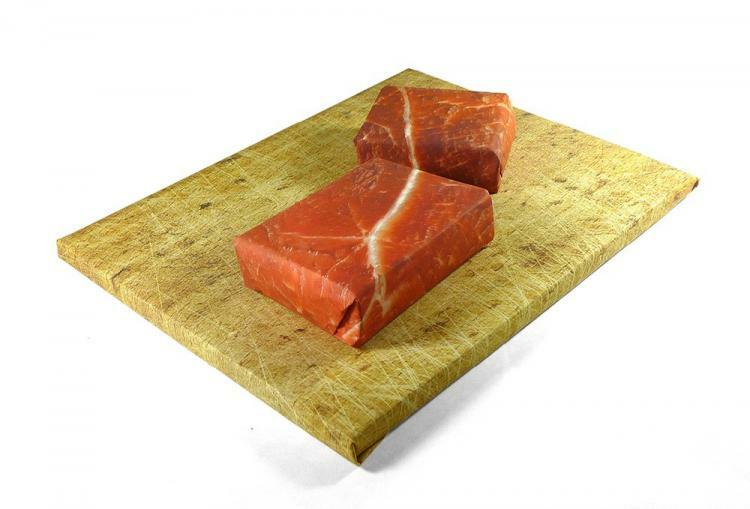 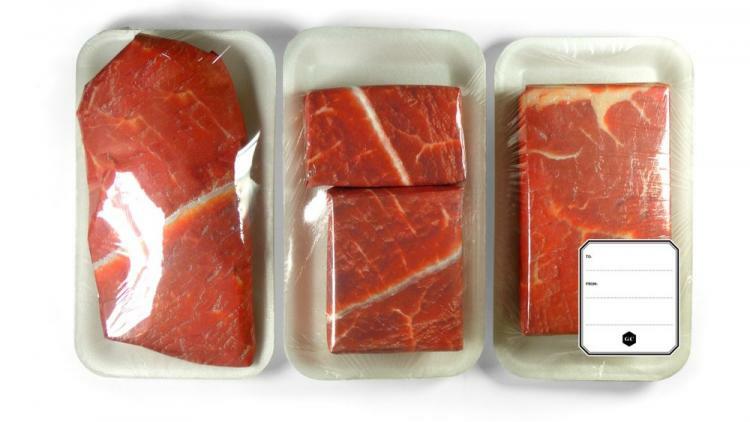 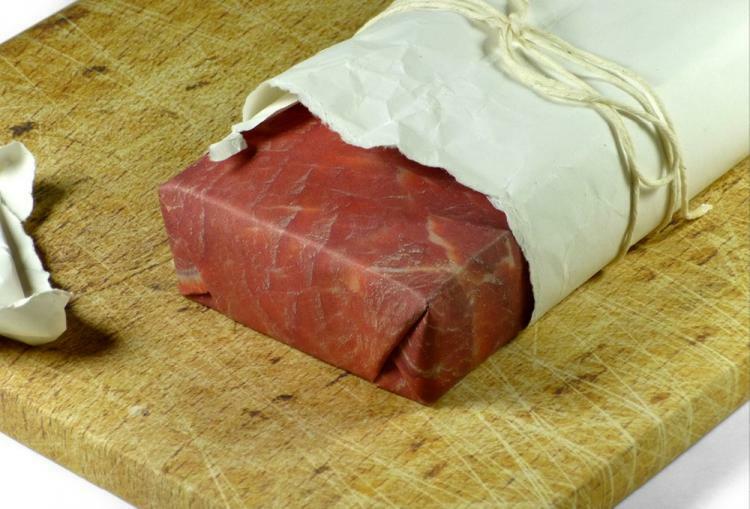 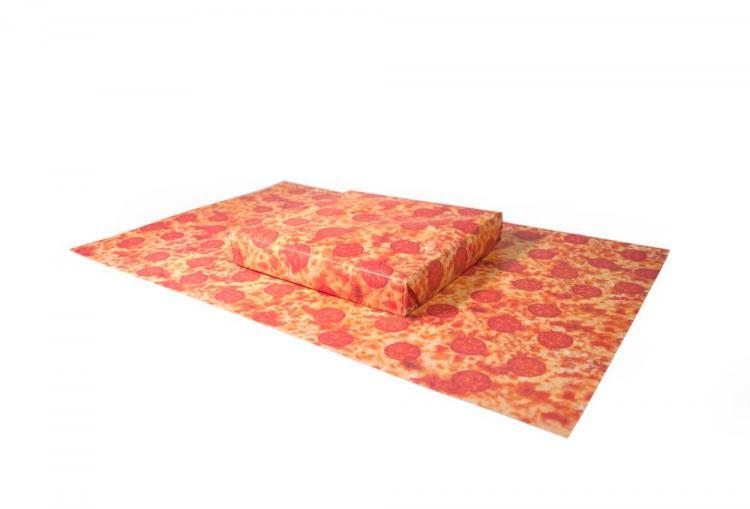 The same company also makes steak wrapping paper, along with pizza wrapping paper!